Additional information:	Son of Robert and Margaret Walker (nee Winton), of 66, George St., Alva, Clackmannanshire. Born at Alva. 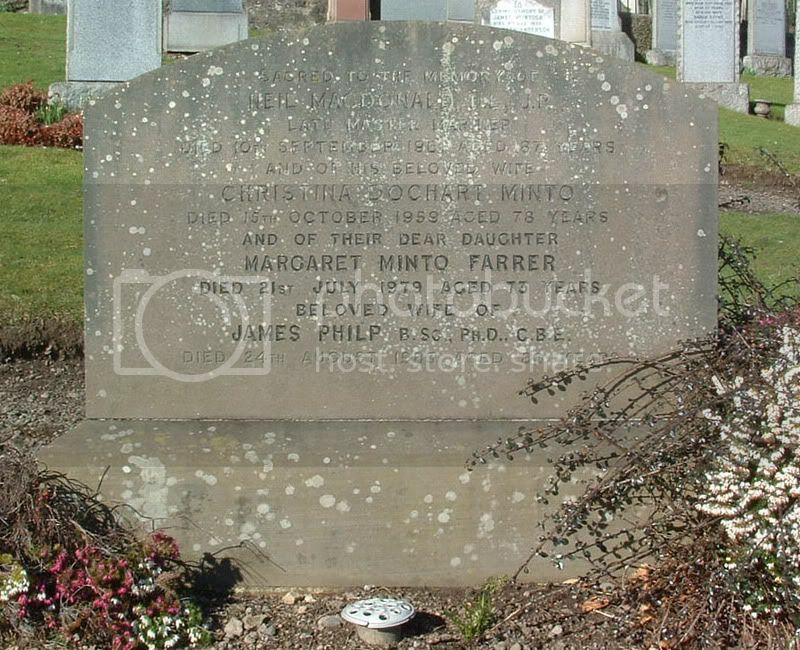 Additional information:	Son of James Alexander and Martha Winder Williamson (nee Thomson) of The Manse, Alva, Clackmannanshire. 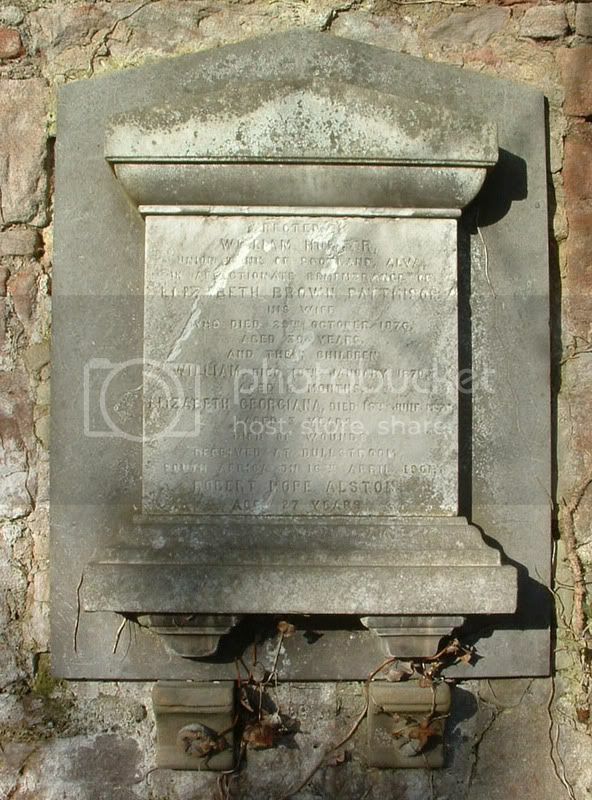 Grave/Memorial Reference:	I. H. 22. 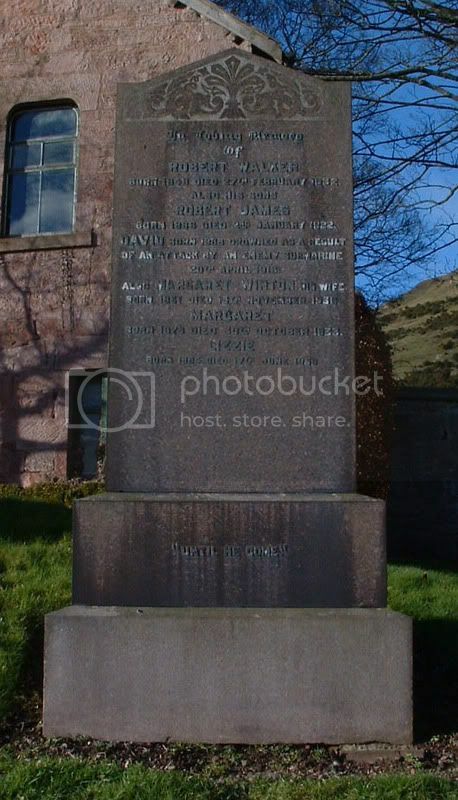 Additional information:	Son of William and Margaret Weir (nee Perry); husband of Jessie Weir (nee Dawson), of Alva, Clackmannanshire. Grave/Memorial Reference:	III. E. 4. From her fellow workers, Tailoring Dept., S. Day’s? Ltd.
Not listed as Civilian Casualty on CWGC. 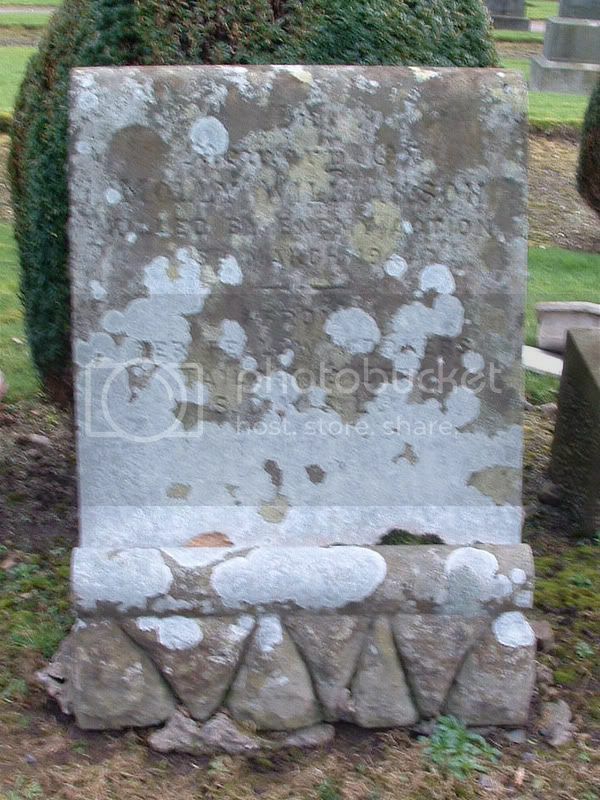 Additional information: Son of Francis and of Agnes George, of 21, Cobden St., Alva, Clackmannanshire. Grave/Memorial Reference: II. B. 22. Jim, sent you a PM about Andrew.